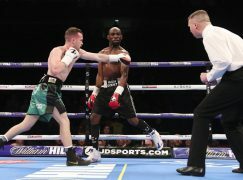 In his debut column for BoxingWales.com, Master of Ceremonies Ricky Wright talks about his first live TV gig… “A month or so ago I broke the news that I had been booked to announce Sanigar Events’ ‘Welsh Pride’ live on Eurosport. The day before the event I had been told I’d been double booked. Saddened by the news, I ordered pizza and decided to spend Friday night in watching the rugby on the TV. 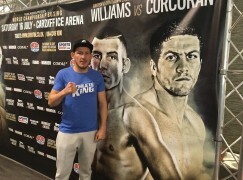 An hour before the first fight I got the call from Paul Boyce telling me that the MC Mike Goodall was caught in traffic, he then asked would I be able to cover the first couple of fights until he arrived. I donned my tuxedo and sped to the Merthyr Leisure Centre. I prepared my cards as best as I could in short notice with my girlfriend Becky texting me stats off boxrec. I got briefed by the floor manager and got into the ring. I announced the first three unaired fights thinking that’d be it. We were going on air at 8pm and Goodall was still making his way to the venue. It became apparent that I’d be opening up the live broadcast on Eurosport on air in 109 countries world wide, from Australia to Malaysia, no pressure. I got the signal from the floor manager to open up the show and then introduced the first fighters. It was very fitting that I got to introduce Chris “Rock’n Rolla” Jenkins on my first live experience. A fighter I have followed in boxing since I announced his seventh fight a year earlier. Since then, Chris has gone on to win the Prizefighter tournament and capture the WBC International title. Tonight he was going for his 14th straight win. Jenkins made short work of his opponent stopping him at 1:46 seconds of the very first round with a body shot. There were only two fights left of the night and I was holding on hope that I would get to introduce the main event. 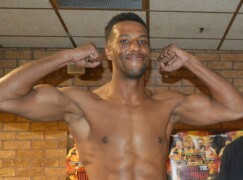 The second aired fight was fought between heavyweights, Henry Smith and Courtney Richards. I knew a bit about Smith as I announced him last year in a white collar prize fighter tournament called Heroes of the Ring. That night a much larger Smith fought three times in one night to be crowned “Plymouth’s Top Boy”. A much leaner Henry Smith fought this time in a four round war. 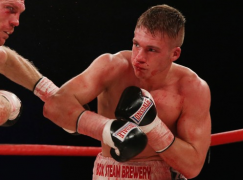 The referee Reece Carters white shirt was covered in bloodstains which indicated how tough the bout was. I announced Henry Smith as the winner with a score of 39-38. Allas Mike Goodall had arrived, I handed over the reins, or rather the microphone and took my seat to enjoy the main event; a ten round war between Welsh champion Frankie Borg and challenger Kerry Hope. Borg won a decision that not everyone was happy with. Even though with a ring side seat, I wasn’t in any position to comment as I was still fuelled with adrenalin. All I know is, the fight was that exciting a rematch would please a lot of fans. As I made my way home, I found out that one of the preliminary bouts I had announced made it on air. 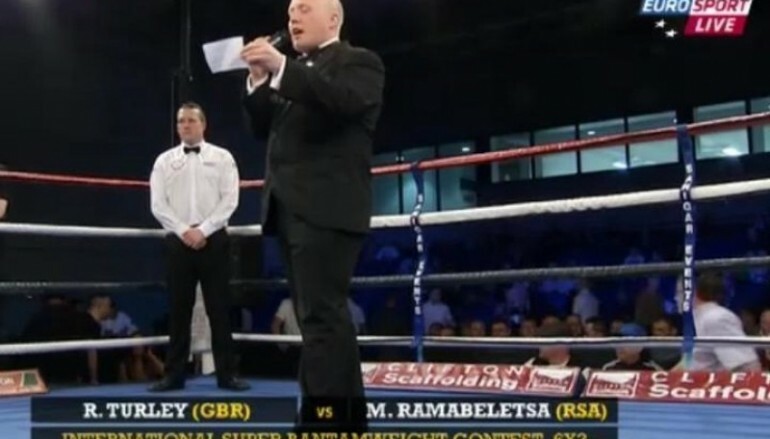 As I went to announce the winner out of Robbie Turley and Michael Rambaletsa the microphone battery had died, the rush to find a replacement battery made good viewing and the commentators had a good laugh about it. As I checked my Facebook and Twitter feeds I had an overwhelming response from my friends and family. I even had tweets from Copenhagen from the guys at Cage Warriors watching from their hotel room. I feel very privileged to have gotten this opportunity. 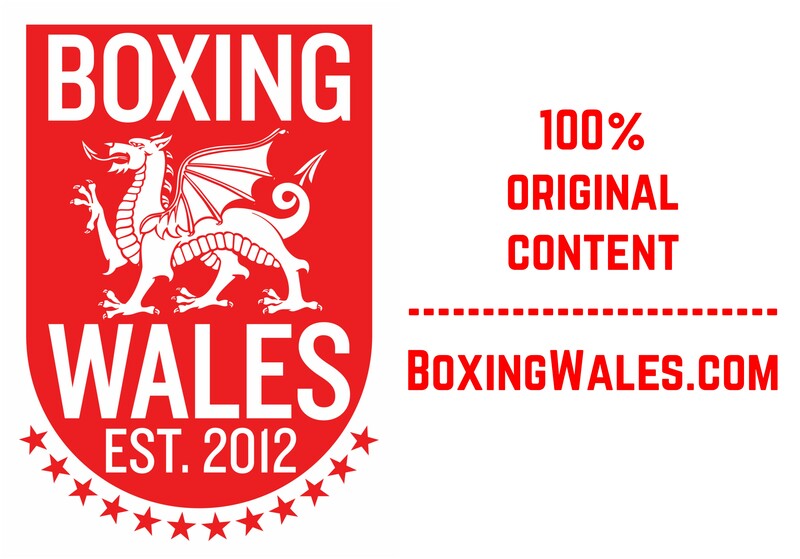 I’d like to thank Paul Boyce for making it happen, Chris Sanigar for giving me a shot, Craig Stephen for the great advice, Clark Joslyn, Reece Carter, Dave Walters and the rest of the British Boxing Board of Control for making me feel at ease, Dewi Powell for the help with the stats before and anyone else who has offered me support.” To follow what Ricky is doing, visit www.RickyWrightMC.co.uk.